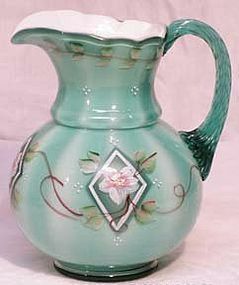 Baltimore Pear (Fig) Creamer and Sugar was made the the Adams & Co., of Pittsburgh Pennsylvania in 1888. 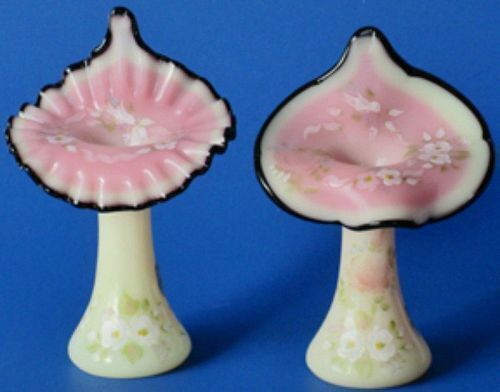 We have two sets available, both in mint condition. You may have noticed that we call it Baltimore Pear -- today's common name for this set. 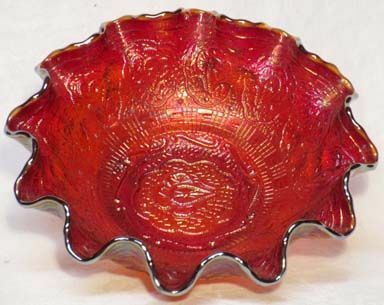 We also include the word Fig, as this is the original description of the fruit on the pattern. -- Things change over time. 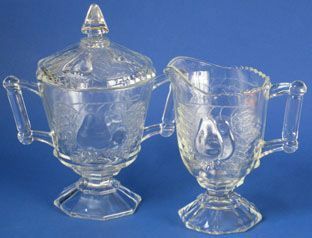 Fenton created this limited edition water pitcher for the 75th Birthday of Bill Fenton and it is signed by him (as seen on the second photo). 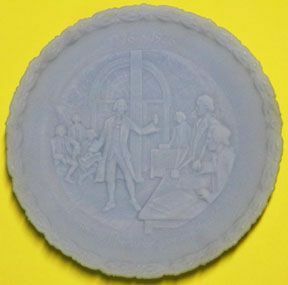 Very collectible! 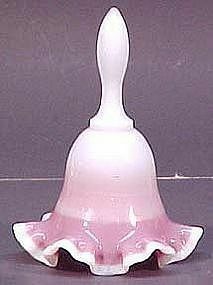 Made around the year 2000, this pitcher is about 6.5" tall and is in mint condition. 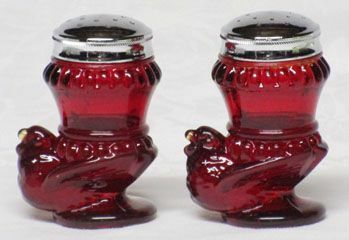 Boyd Glass Red Hen Shakers (pair). 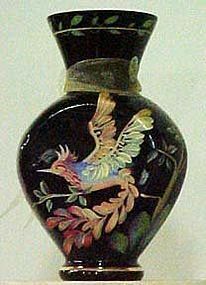 I think these birds on the shakers are hens, but your guess is as good as mind! All in solid shape, lids in mint condition. Sold as a pair. This pair of matched crimped and non-crimped 7" jacks made of black rose burmese were privately painted for Joyce Colella. Each one is numbered and signed on the bottom as shown in the accompanying photos. Sold as a pair! 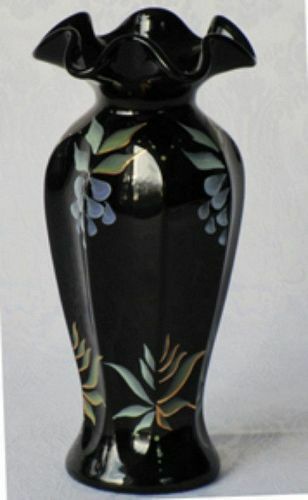 Fenton made this Black vase as part of their Family Signature Series, 8" tall. It is in mint condition. Made in 1997, designed by Jon Saffell, hand-painted by K. Brightbill. 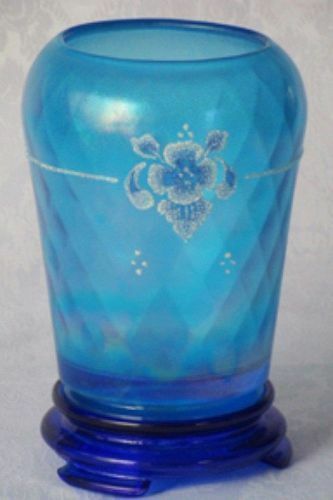 It is called the Medallion Collection Vase and comes with paper certificate. It was in production for only 4 months. Fenton made a series of handpainted animals on black glass. 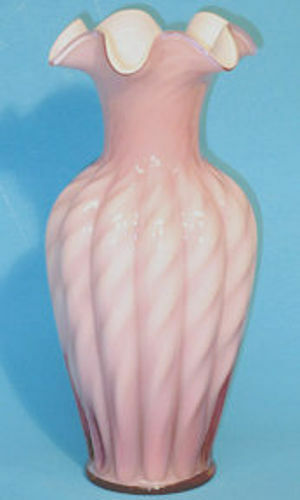 This vase is 7-5/8" tall and in excellent condition. Made in 2003 as part of the Centennial Collection (Limited series, #471). 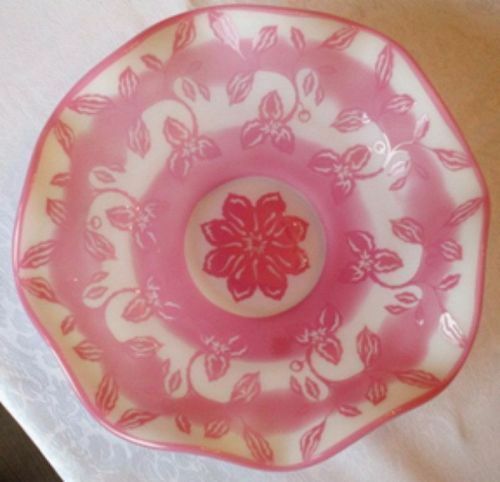 Designed by JK Spindler, Signed by Randy Fenton and handpainted by M. Caplunger. 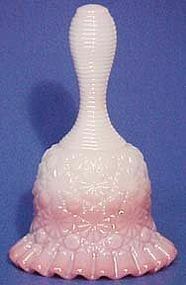 The Fenton Blue Burmese Daisy and Button Bell was produced from 1983-85. This item is in mint condition. 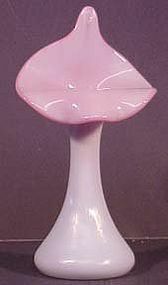 Fenton Blue Burmese Jack in the Pulpit Vase (shiny finish) is about 11" tall at the pulled top. Has the original label and is in mint condition. Made in the 1990's. 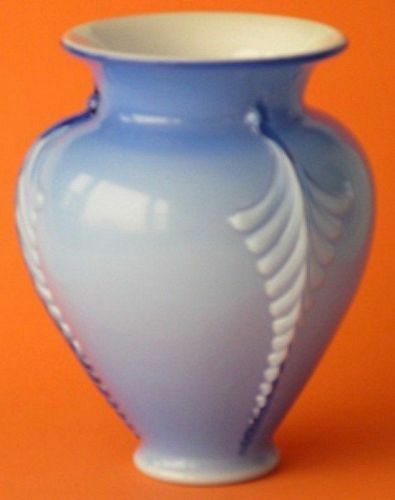 Fenton made this 2-piece vase in 2000 as part of their 95th Anniversary Collection. 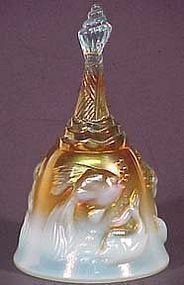 It is in mint condition and stands, with its pedestal, 7.5" tall. 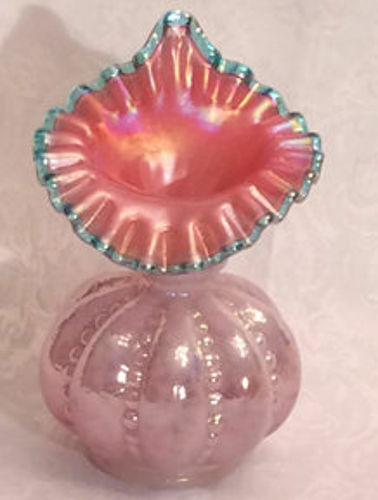 This Fenton cased Cranberry Opalescent Teal Irridized 7" Vase in the beaded melon-jack pattern. Part of the 1987 Connoisseur Collection, made in 1986 and is #877/3500. 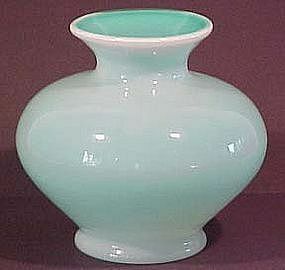 Fenton Cased Jade Opaline 7" Vase, in excellent condition. Made in 1990.